Desert trip Marrakech: Private 3-day tour to explore the magic of Morocco’ Sahara desert and with its sandy dunes. 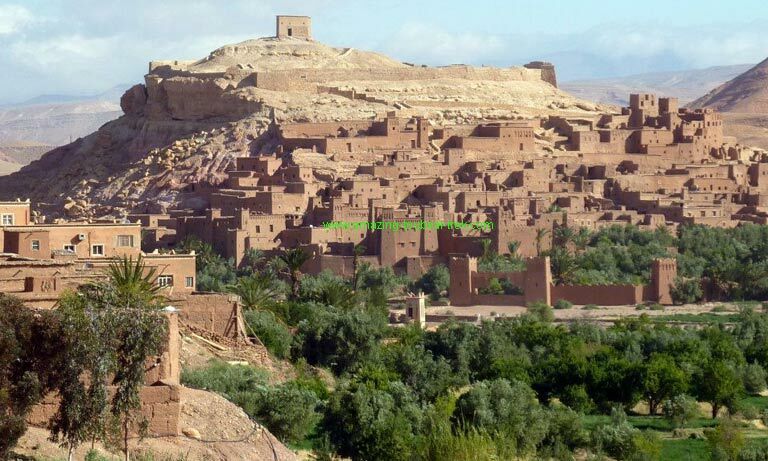 During this trip, you will visit Ait Benhaddou Kasbahs, take a camel trekking and spend a night in Erg Chebbi which is an excellent Sahara desert in Morocco. – Discover the fascinating Ait-Ben-Haddou Kasbahs, listed as a UNESCO World Heritage Site in Morocco in 1987. – Visit Atlas Film Studio in Ouarzazate, to understand more about films and the way there are made. – Visit Taourirt Kasbah, the former Glaoui residence. – Drive along the road of 1000 Kasbahs. – Visit the spectacular Dades and the Todra Gorges. – Explore the old system of irrigation (khottarat), a centuries-old water transportation system using underground canals to irrigate fields in Moroccan oases. – Enjoy a memorable time riding camels into Erg Chebbi dunes at Merzouga. – Spend the night in a Berber traditional camp, after a camel trekking. 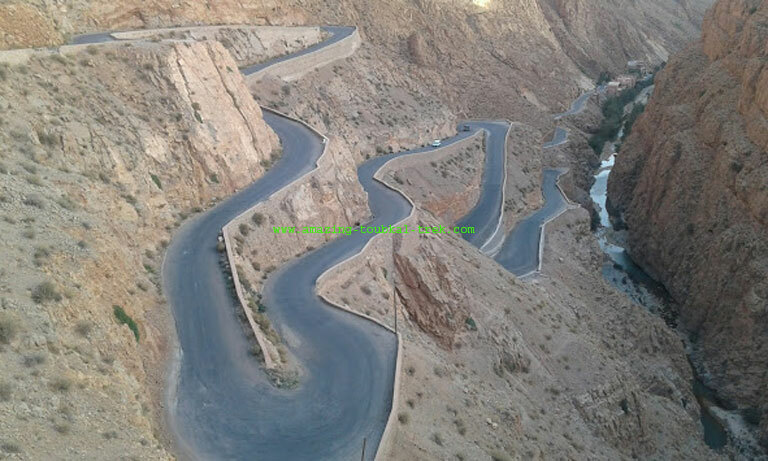 You will leave Marrakech in the morning, and drive to Ait Benhaddou via Tichka pass. We take the time to visit the Kasbahs of Ait Ben Haddou and then continue towards Ouarzazate – the capital of cinema in Morocco. We will also visit Taourirt Kasbah, then drive to Skoura oasis, Kalaat M’gouna, then to Dades valley by the Road of Thousand-Kasbahs. Overnight in a nice hotel close to the Gorges. After breakfast, we drive from Dades gorges to Merzouga. 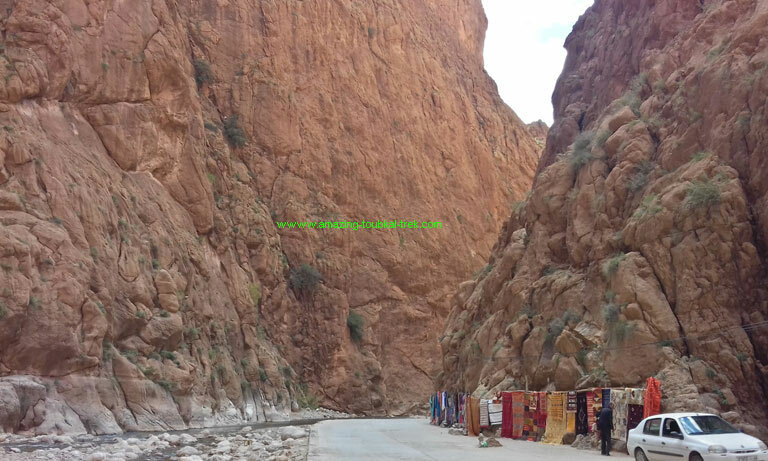 We visit Todra gorges and continue to Rissani, Erfoud Tifilalte oasis then to Merzouga. After a short rest in the hotel, you will ride camels and cross Erg Chebbi dunes. The best time to take photos is on dunes while riding camels. We arrive at the camp, watch the sunset, enjoy lovely dinner and Berber drums music around a fire. Overnight in a nomadic style camp. We get up early in the morning to enjoy the sunrise, then ride camels back to the hotel. After a buffet breakfast and take shower, we return to Marrakech through a different road to Alnif, Tazarine, and N’kob until Ouarzazate where we’ll have lunch. Overnight in Marrakech hotel. – Desert trip Marrakech is available and can be arranged for groups of all sizes. 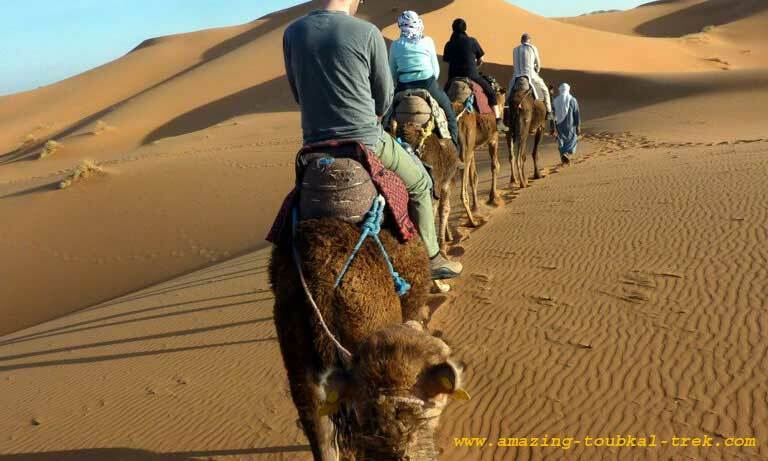 Desert trip Marrakech: A tour to the desert of Morocco with camel trekking in Erg Chebbi at Merzouga. 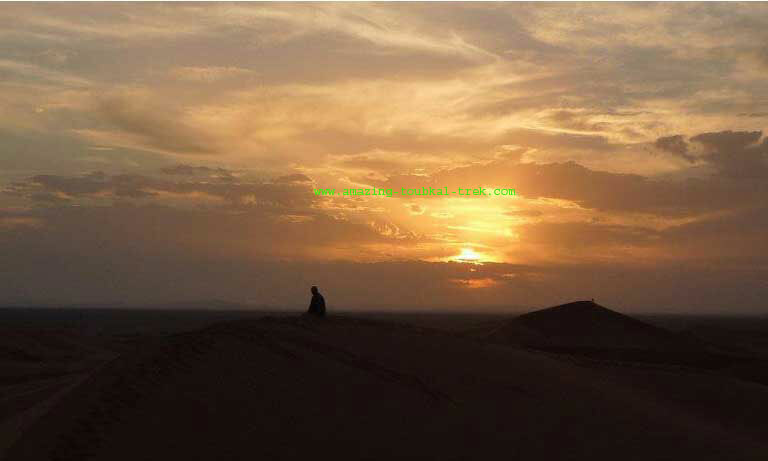 Desert trip Marrakech 3 days, Desert tour from Marrakech.